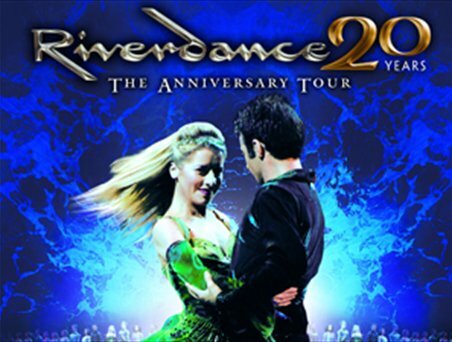 This 20th Anniversary UK Tour, gives Riverdance fans old and new, the opportunity to celebrate an incredible milestone for an incredible show. Twenty years after it took its first steps, a truly phenomenal piece of theatrical entertainment is back by popular demand. Don’t miss this anniversary tour! Riverdance is a theatrical show consisting mainly of traditional Irish music and dance. The Original performance Featuring Irish Dancing Champions Jean Butler and Michael Flatley, and with a score composed by Limerick native Bill Whelan, it originated as an interval performance during the 1994 Eurovision Song Contest. Shortly afterwards husband and wife production team John McColgan and Moya Doherty expanded it into a stage show, which opened in Dublin on 9 February 1995. Riverdance was first performed during the 7-minute interval of the Eurovision Song Contest 1994 at the Point Theatre, Dublin on 30 April 1994. It received a standing ovation. Later that year, the BBC commissioned a repeat performance of the act for the 1994 Royal Variety Show, when it was introduced on stage by Sir Terry Wogan. At Congratulations: 50 Years of the Eurovision Song Contest it was named as one of the most popular interval acts in the history of the contest. This first performance featured Irish Dancing Champions Jean Butler and Michael Flatley, the RTÉ Concert Orchestra and the Celtic choral group Anúna with a score written by Bill Whelan. Most of the show’s choreography was done by Flatley. An audio recording of “Riverdance” entered the Irish singles charts at number 1 on 5 May 1994, and remained there throughout the summer (keeping Wet Wet Wet´s phenomenally successful “Love Is All Around” off the top), eventually totalling a record 18 weeks at number 1. In response to the Rwandan Genocide of May/June 1994, a video of the Eurovision interval performance was then released by the Irish broadcaster Radio Telefís Éireann under the title “Riverdance for Rwanda” with all proceeds going to the Rwanda Appeal Disasters Joint Appeal Committee. So come along and watch a little piece of History unravel itself again, if you love dancing you will love the music and riverdance entertainment! By worldchoiceeducation in Uncategorized on September 3, 2014 .